You know what I love about paper crafting (well, besides all the amazing paper and accessories)? 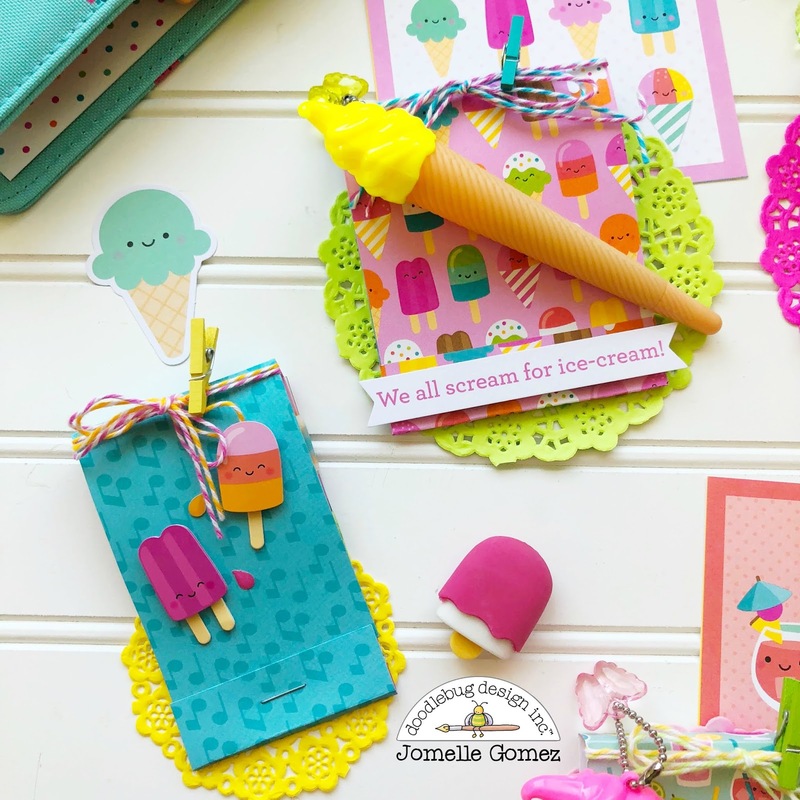 There are never a shortage of ideas and projects to keep you excited about the craft! One day I can be scrapbooking and the next I can be making cards or tags. 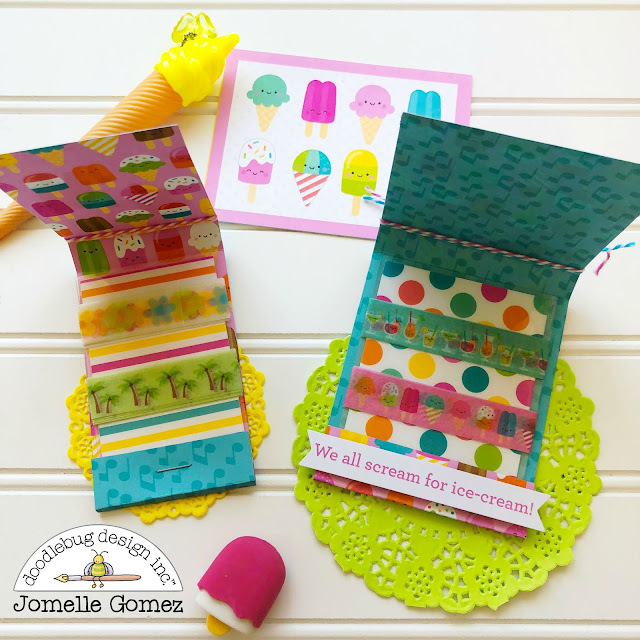 And with beautiful paper and accessories from Doodlebug, I can even be whipping up some amazing treat containers... ...like this train that I recently pulled together for my husband using the cute Yankee Doodle collection! I'm calling it my Yankee Doodlebug Train! The lid pops off and the inside of the engine is filled with treats (like my hubby's favourite licorice and a little invitation for a night's stay in a refurbished caboose). Now here's the thing - I make a lot of treat containers. Really. A lot! In fact I would say that there are at least a dozen in my crafty space right now waiting for a new home. I often get asked from fellow crafters about the structure of my containers - what type of paper do I use so that pillow boxes etc. will hold their shape? 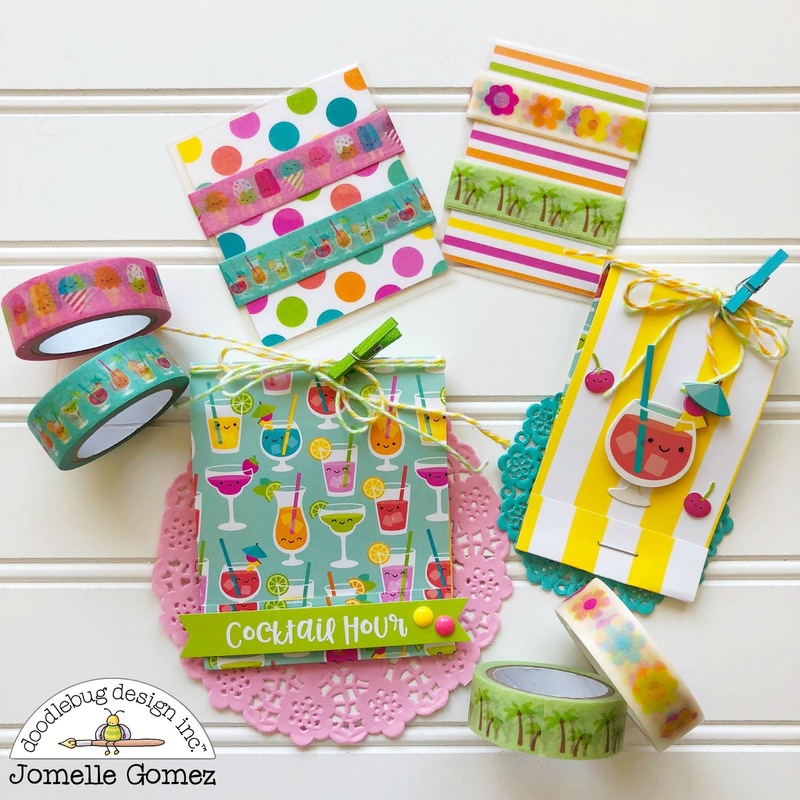 With Doodlebug products, my answer is always the same...find the patterned paper you love and use it! 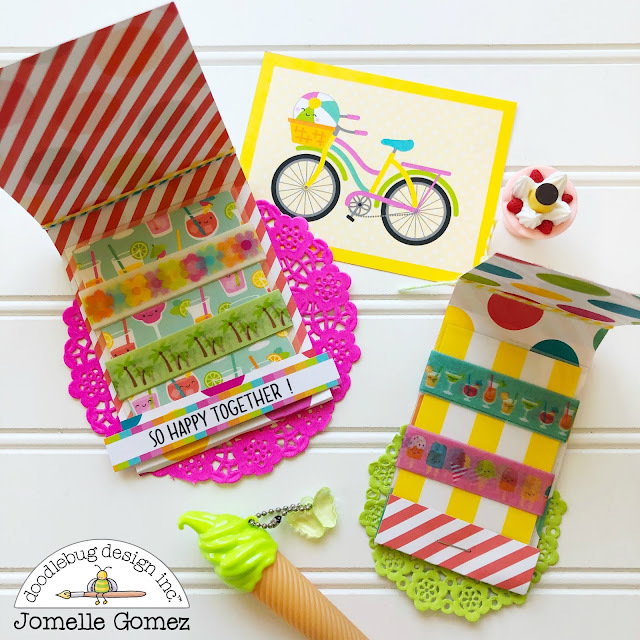 Doodlebug papers are amazingly resilient...I can score them, fold them, bend them and the paper maintains it beautiful shape and colour! Even foil stays in place! Add to the patterned paper a bit of coloured card stock, and you are all set. Now I know that Doodlebug's amazing patterned papers get a lot of attention. And so they should - we can all agree on that! 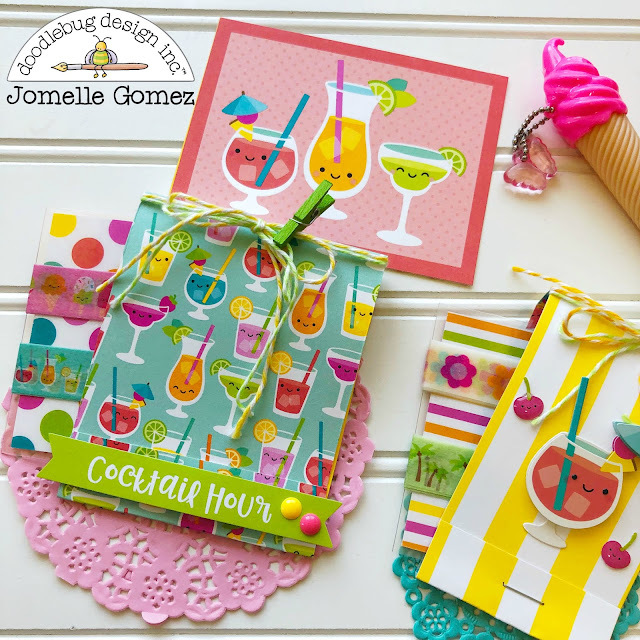 But one of my favourite Doodlebug products is the textured cardstock. I mean look at the texture on that beautiful blue paper! The weight is amazing and it cuts incredibly smooth! And you will always find the perfect colour to coordinate with your favourite patterned pieces! To finish off this little treat train, I used a bit of vellum for the windows... ...and a wee bit of bling for the wheels. I used the adhesive jewels, but some cute Sprinkles; or sequins; would do the trick too! A pixie stick and some washi tape allowed me to add a little personalized sentiment on the back! How cute would this be for a July 4th centerpiece filled with treats for everyone coming over for a BBQ? I don't know about you, but I feel like this train needs a few cars to pull along behind it? Any ideas for what I could put inside of those? Thanks for stopping by, and happy crafting! Have you ever been to a Planner Meet Up? Some of you must be wondering "What is a Planner Meet Up"? 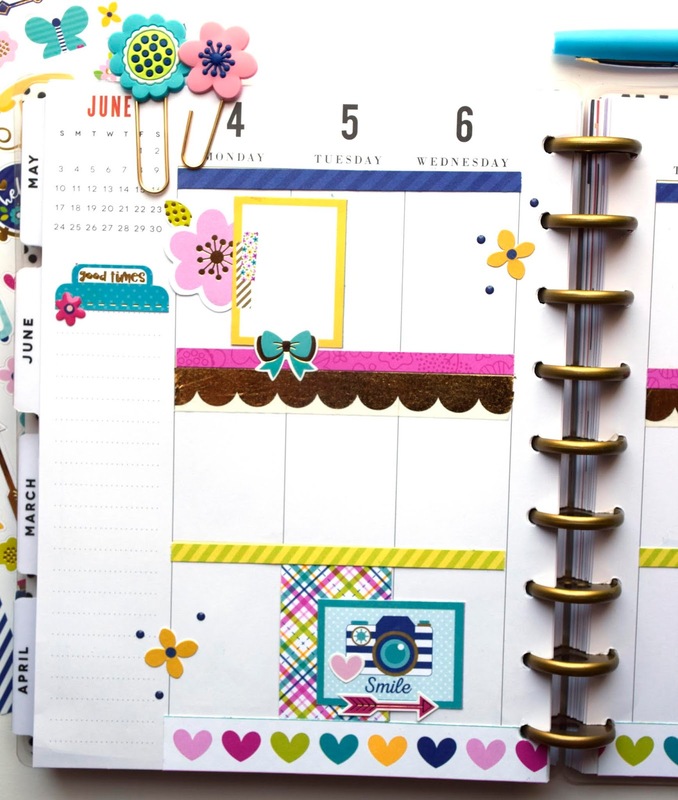 For starter, did you know that there's a huge Planner Community? It's much like Scrapbook Community except it's all about planner. Planner Meet Up is a place where all the planner girls with the same passion and love for planners meet. 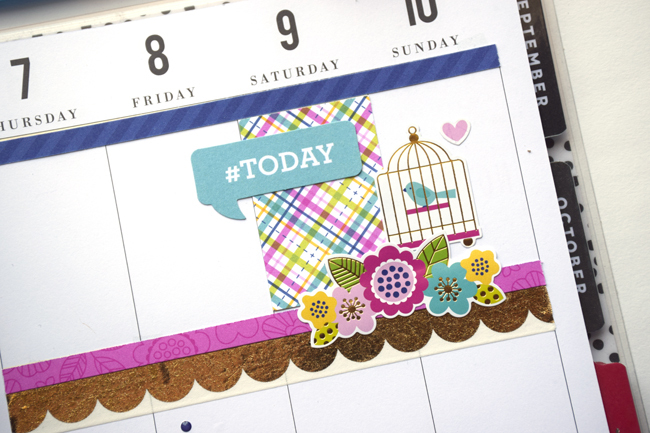 It's also a great way to meet new planner friends. There is also nothing better than meeting people who speak the same language all about planners. Planner Girls also "Swap" during the meet up. It is the staple of any planner meet. I decided to create a holder for washi samples to give and swap with my planner friends. 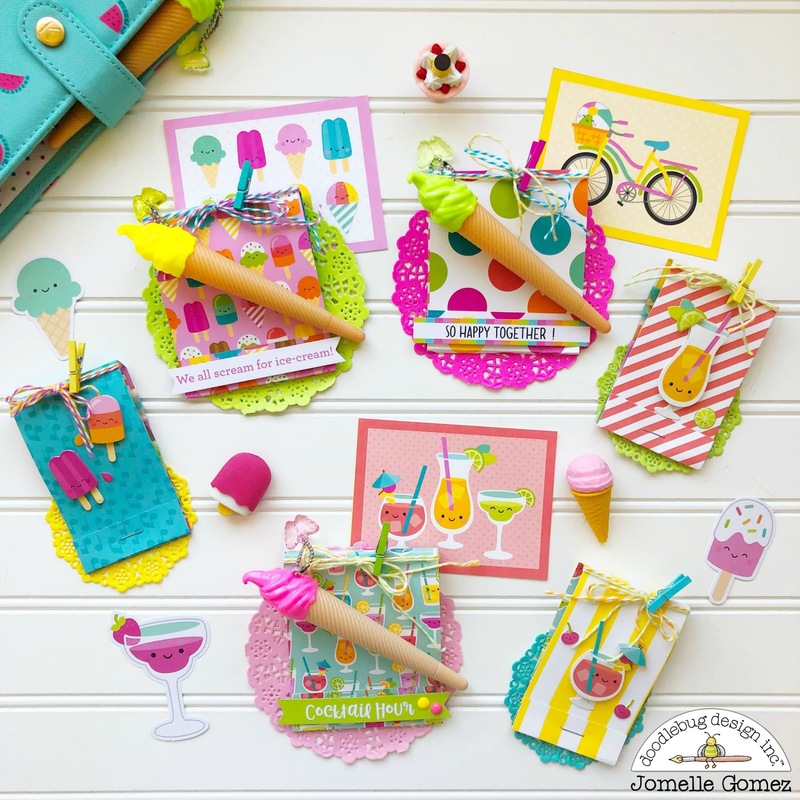 Sweet Summer Collection is perfect to create something for a Summer Meet. 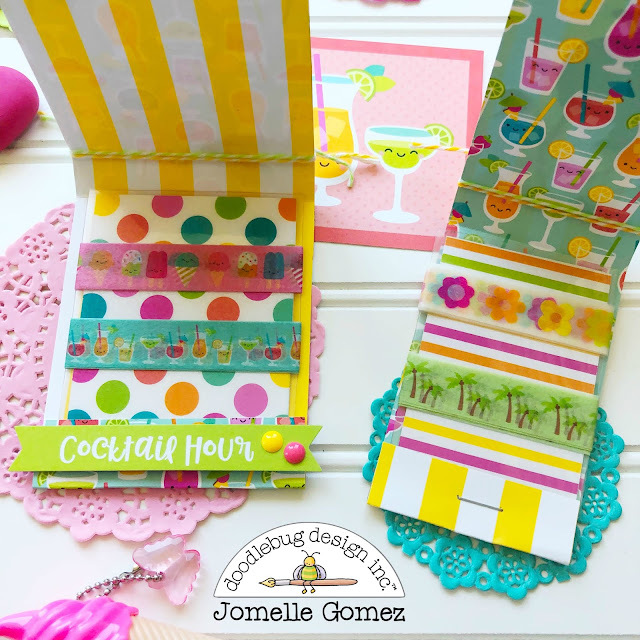 I used my Tim Holtz Matchbook Set Dies to create my washi sample holder. You can see the washi samples peeking out of the matchbooks. I cut and laminated a small cardstock to fit inside the matchbook. I then wrapped the washi tapes around it. The Summer Washi Tapes are super cute. I'm sure my planner friends will love them. I added some twines, doily and mini clothespin to complete the look of my swap. Inside of each matchbook sets I created. I also love giving cute pens to my planner friends. The ice cream pen is just perfect. 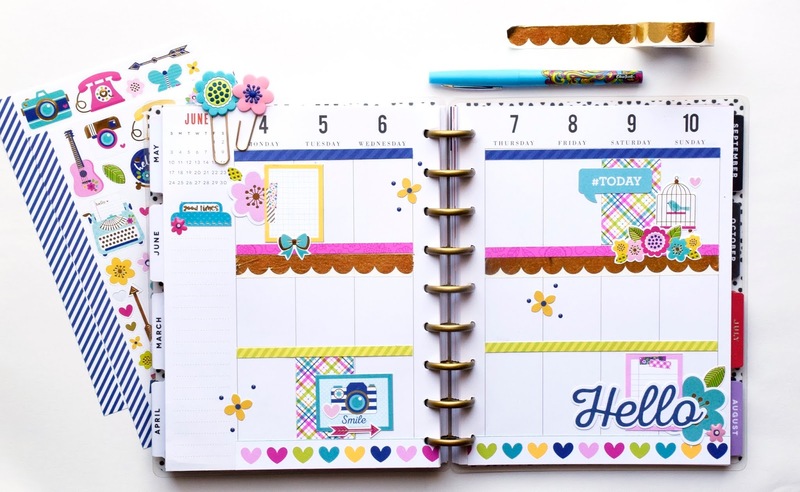 I have been missing my planner friends so I am hoping to attend a meet up soon. 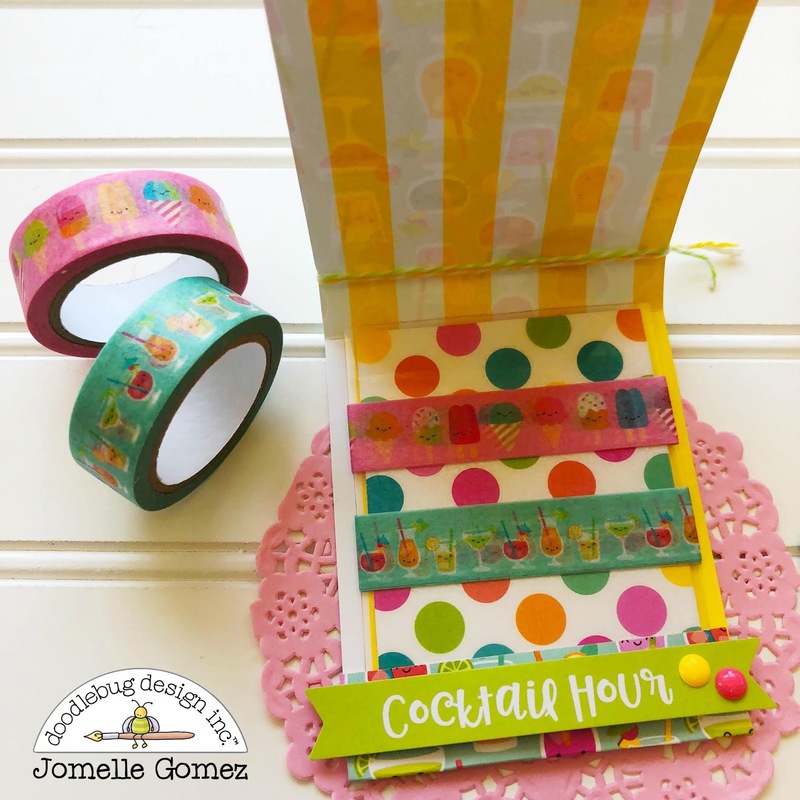 Thank you for stopping by and I hope you enjoy my idea for washi tape sample holder. Who doesn’t love a beach vacation full of sun, swimming and sand castles? I’m sharing a layout created with the bright and cheerful Sweet Summer collection that is perfect for all holidays over the warmer months. 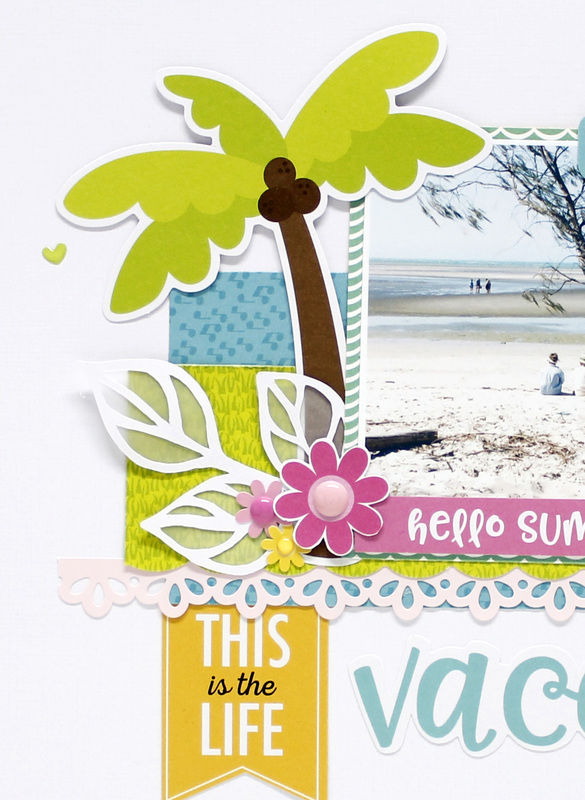 For this layout I decided on centering most of my design in the middle of my card stock. I placed a strip of patterned paper at the top and bottom of my layout for balance and added a cluster of embellishments also at the bottom. I also created a hand made tag from the 6x6 patterned paper pad, die-cuts and stickers. 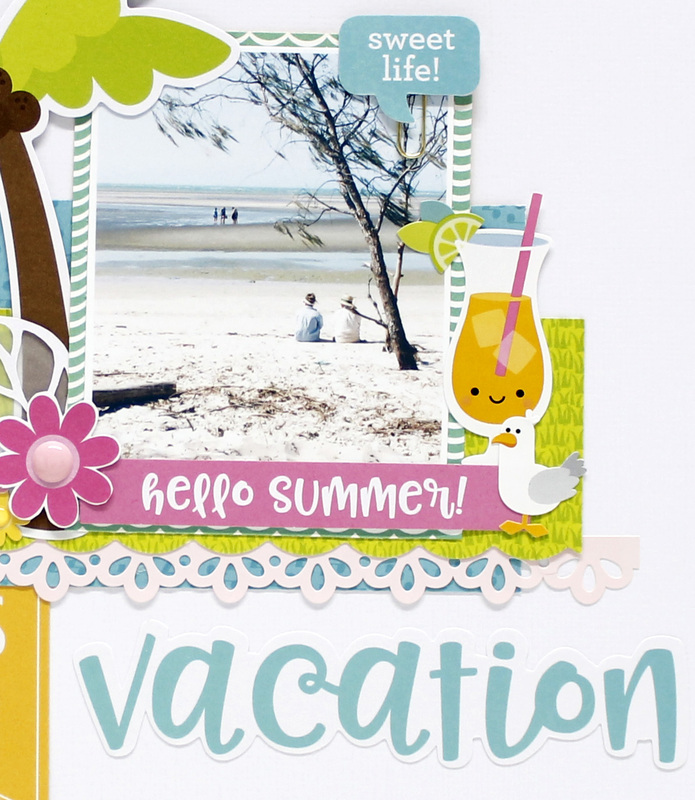 and on the left hand side of my photo I clustered some die-cuts and stickers on the other side of my pic. My title was created from pieces from the Chit Chat pack. Ok - I have officially been bit by the planner bug! There is something that speaks to my list making loving, linear heart that makes planning so fun! 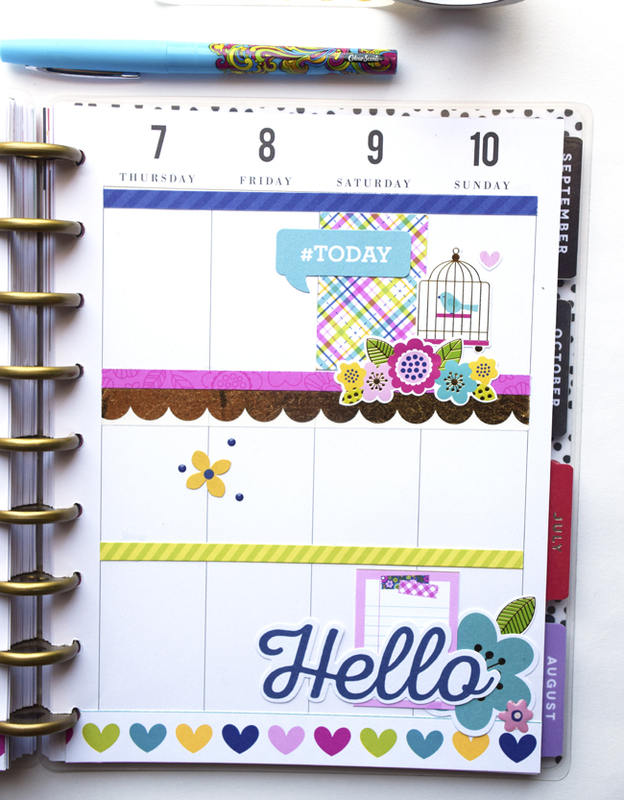 I am sharing one of my planner pages with you today featuring the amazing Hello line. 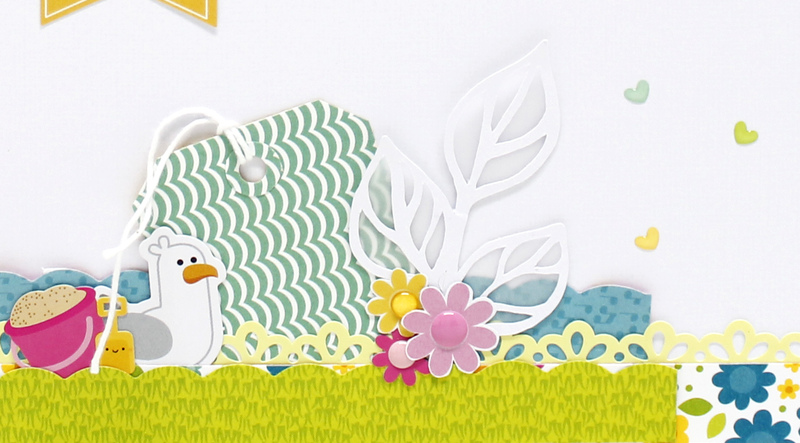 I love the Mini Icon stickers that are a part of this line - I knew that I need them to be the highlight of my spread. The smaller scale of the icons on these sticker sheets make using them in my planner a perfect fit. 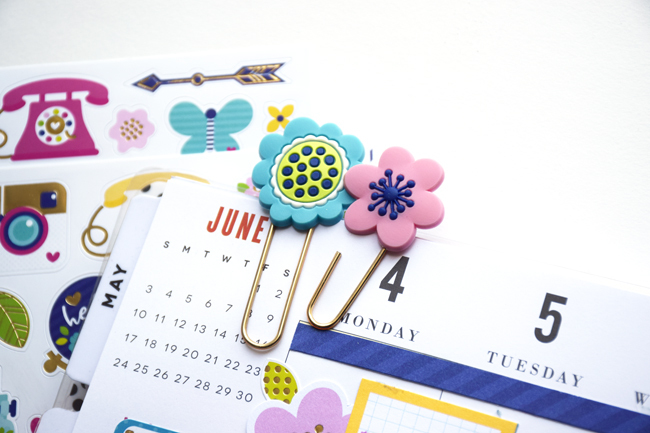 How adorable are the Jelly Clips? These flowers were the perfect touch. 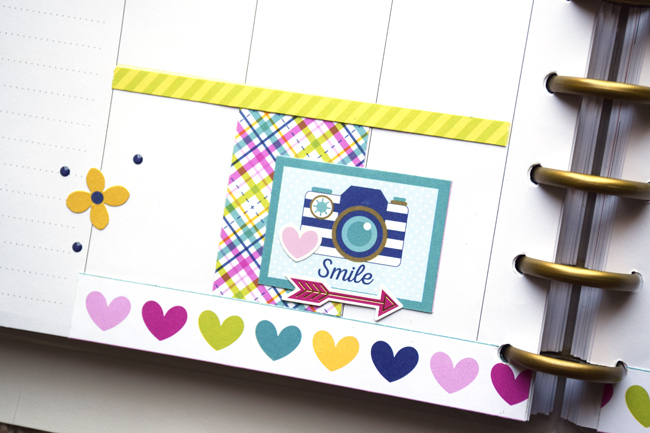 The Smile card is from the 6x6 paper pad and fit perfectly in the rectangle boxes of the planner. I also like to decorate the bottom edges of my pages to match the theme of the layout. These hearts are from the border strip pattern paper. 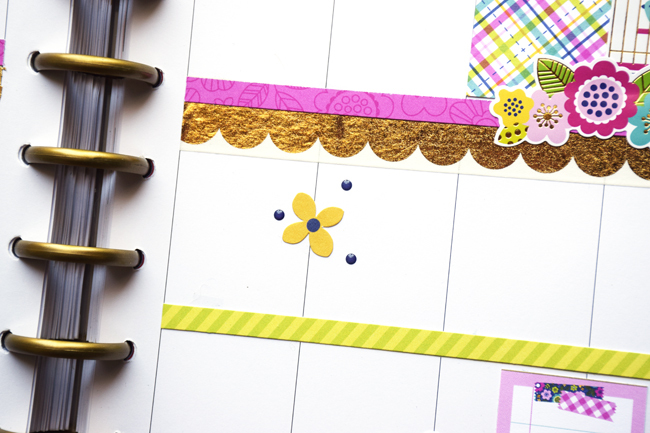 How beautiful is this gold scallop washi? For reals! It added such an elegant touch to the layout. 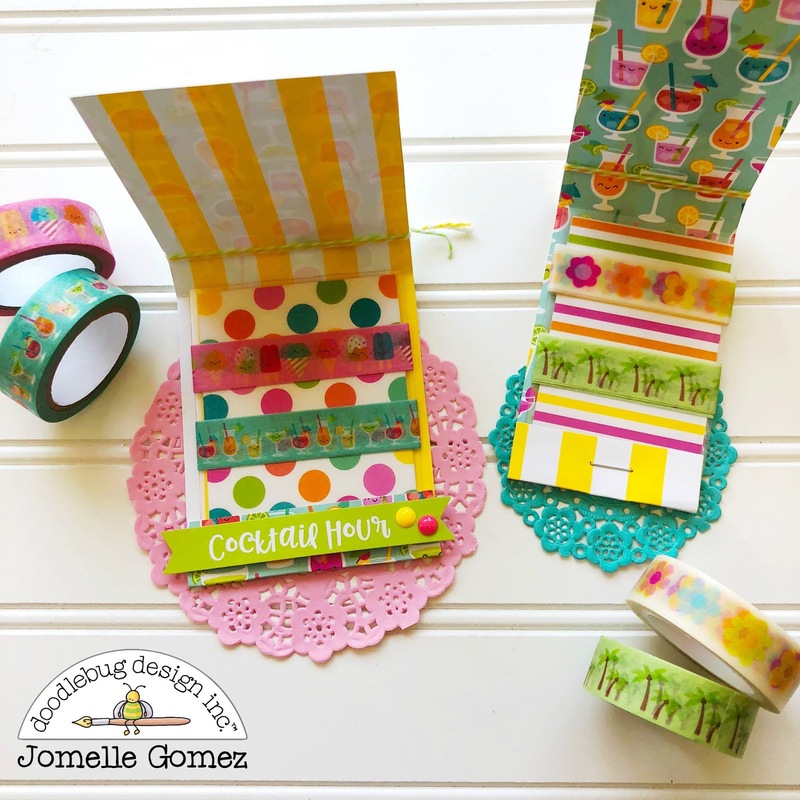 The Today quote box is from the Chit Chat ephemera pack. More Chit Chat ephemera in this corner along with some flowers from the Odds and Ends and some epoxy flowers from the Beautiful Blossoms Shape Sprinkles. 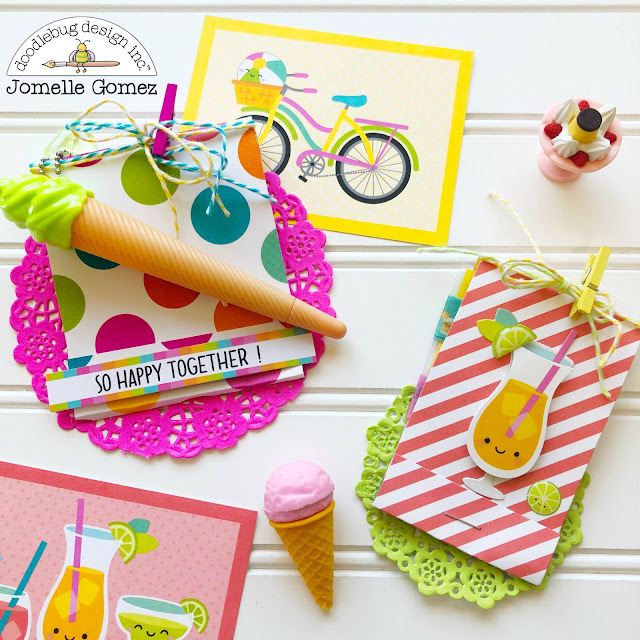 I loved these itty bitty enamel dots found on the Beautiful Blossoms Shape Sprinkles. They are not bulky at all and I love the shine they give to my decor. The little yellow flower is from the Icon Stickers. 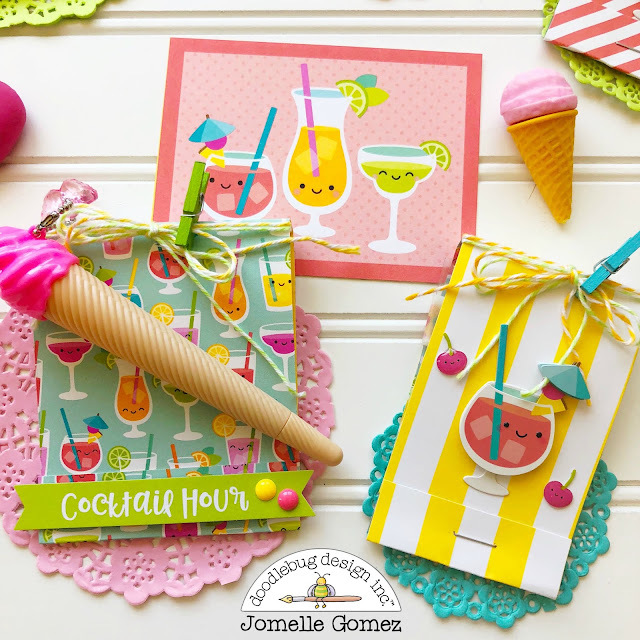 Thank you so much for stopping by and checking out my project for today. I think this is the start of many more Doodlebug themed spreads in my planner. 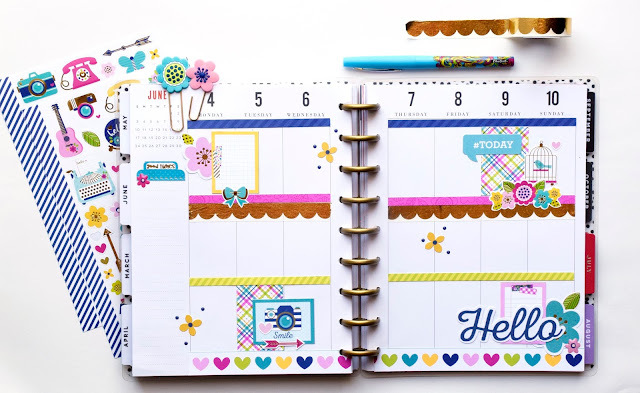 I loved playing with all of the papers and icons from the Hello collection and I hope I have inspired you to add some Hello to your planners as well. Happy Crafting ! Fairy Tales is one of my favorite collections by Doodlebug so far as I love unicorns and rainbows so much. Last year, my little girl decided that the theme of her birthday party was unicorns and rainbows, and the first thing that came to my mind was “I will make a mini album with Fairy Tales for documenting the party!! !” The party was awesome, my girl spent a great day with friends and family and I snapped lots of photos for the mini, which I want to share with you today. I went for a simple a wire binding with my Cinch binder and hot pink wire. I used some organza ribbon to tie it up and keep my mini closed. And I love combining pages of different lengths, this way the design of the mini is more fun and interesting. As on most of my mini albums, I used vellum to print my journaling. I think that journaling is a fundamental part of a mini, because it helps us reminding the Little details and the story behind the photos we used. 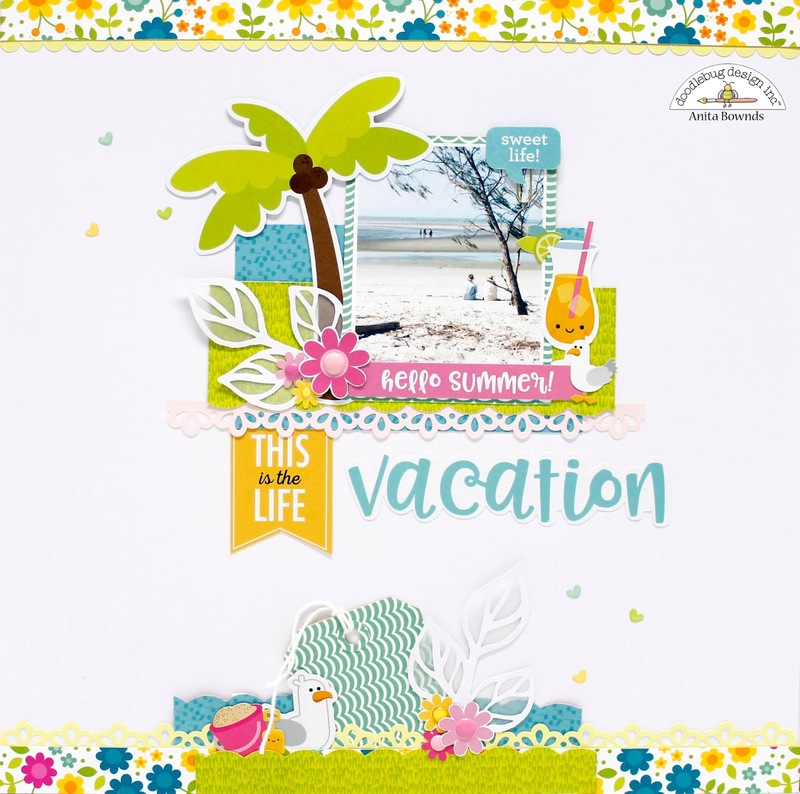 In this case, I first journal about the theme of the party and how we enjoy that day, and decorated the vellum page with some diecuts from the Odds&Ends pack. I love the transparency effect of vellum, it not only features my thoughts and feelings about that day, but also makes a great decorative element of the mini. I pointed out all the important things of the party like the birthday girl, the food or the the cake, using Teensy Typo and Abigail alphas. In this mini I combined printed journaling with some words I wrote using Teensy Typo alpha. I love the how this page came out, this is something I will definitively repeat on future projects. A final note to my birthday girl about the feelings and thoughts of such party day and my mini is finished! I love how this mini came out, so colorful and funny. Also, I love it because of the happy day it documents and because unicorns and rainbows!!! Thank you for stopping by today, I hope you enjoyed this Project and got some inspiration for working on your scrapbooks. If you have any question just leave me a comment, have a lovely day!